Is time in trading important? If it matters, then why nobody talks about it? What are the most important elements of trading? Capital, Trading System, Money Management, Black Swans, Luck? 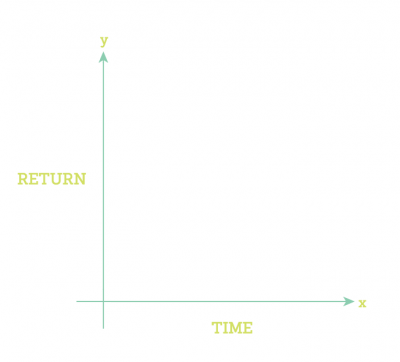 If you imagine trading on an XY axes, what would be your “X” and what would be your “Y”? It is really hard to imagine trading separated from time. For a lot of you this might sound esoteric, but the long and the short of it are that time is essential. For some traders, it could be important because they have incorporated time as part of their trading strategy. For example, they only close a position after a certain “X” number of days. For other traders, time equals trading opportunities. Scalpers will understand what I mean. For a third type of traders, time gives them a better horizon to maximise their profits. As Jesse Livermore has put it- cut losers fast and let winners run. You can clearly see from this quote that time is all it matters. So why is this crucial element of trading so unrepresented? Why nobody talks about it? Time is called theta. It’s really important especially when/if you are trading options. If your going to sit in something you want it to move. The work you put in to a position and all that it entails to carry is not worth it if you just sit in it burning theta. Absolutely time matters. Any and all statistical analysis for time-series data of financial instruments depends on the time-constant for the X axis. Without it you would just have a bunch Ys, and what kind of statistical relevance would that provide; there would be no such thing as charts, trends, or “black swan events”… Whether traders realize it or not – time is the most important factor because without it there would be no context for price movement. The role of time in the markets and price movement is one of my favourite topics to think about lately! There’s not much opportunity to discuss it though, so my thoughts are fairly unorganized. I think that the key paradox of time is that you can not understand how the market operates without considering the time factor. At the same time, you can be a successful trader without paying any attention to time at all. Consider Point & Figure charts, and Renko charts. Both time honoured approaches that remove time from the analysis completely. More commonly though, are all of the traders who enter based on a particular price level, hope that price will move to their target level, somehow, and at some time, without really factoring in time considerations, save for events (eg the weekend, NFP). That’s not a criticism, if anything it may be a strength, by reducing the number of variables that need to be considered. Other people deal with the time issue more obliquely. Consider the DOM trader who is trying to run the big money orders. Their “time decision” (i.e. when do I enter), is largely solved in an instant. Most people will not want to hold a trade ‘too long’ but often the need for patience (a time related attribute) is the dominant song. When you think about it though, there aren’t many common tools for dealing with the time aspect: when to enter, how long price should take to move, how long to wait for it, when to exit. Gann cycles and Fib time intervals are esoteric, and possibly useless. Elliott Wave Theory postulates that price action should unfold over time in a certain way, but makes no quantifications. Yet despite all this, when you start looking at the market as a reflection of the real world, it’s very hard to escape time. The open of each trading session inspires periodic injections of liquidity and activity. These sessions even influence which pairs are more active. Also many major players have specific time constraints on how they operate – you can’t sit on client orders forever, you have to get them filled! We know that people use charts that are divided into arbitrary periods, and that they are likely to take action as these periods turn over, and less frequently in between. Known is the fact that the spot market interacts with time-based derivatives (options). More importantly, we know that major action can begin from well traversed price areas. But there’s something that promotes a breakout this time. Time is intensely interwoven into the basic structure of the market, yet it’s hard to really pin down how to work with it from a trading point of view, other than working with known key time points (opens, closes, news releases). As a matter of fact- yes! No matter how underestimated or badly expressed it is, time continues to be a leading factor in trading. Without time trading cannot exist. The reason why this crucial factor is so underrepresented in the literature still eludes my mind. Maybe there will a brand new trading strategy purely based on time. One way or another, time is taking a great place in our trading with or without our realisation. That is one of the main reasons why I have decided to create this article. Time takes a central role in price action trading and that is one of the major reasons why I trade with New York Close charts.